Q. 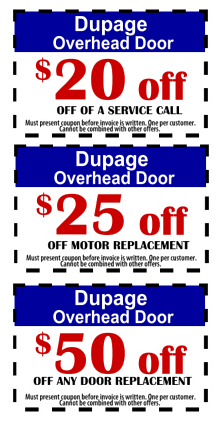 Why should I choose an insulated door if my garage is uninsulated? 4) An insulated door is generally quieter and has a more attractive interior than an uninsulated door. 2) Steel doors have longer warranties than wood doors. 4) Steel doors are pre-painted and most are available in your choice of three colors. Wood doors are unfinished or primed, both of which need to be finish painted upon installation. Q. I want to replace my old door, but don't know how to dispose of my old one. Will my dealer take care of that? Q. I'd like to purchase an steel door, but need a color other than those you offer. Can I paint the door once it's installed? A. Yes. All steel doors are prepainted with a tough topcoat that is perfectly suited for painting after installation if another color is desired. To repaint, use a high-quality latex exterior house paint. Because the paint must be thoroughly mixed before using, mechanical mixing is recommended to assure that no settling on the bottom of the container remains. The surface must be completely dry prior to painting. Painting should be done in the early morning to reduce uneven drying from the sun. Avoid painting when temperatures are below 50°F. Apply a uniform coat at the manufacturer's recommended dry film thickness. If the door has been installed for a long period of time it should be cleaned and prepared prior to painting. First, wash your steel door with (a) One cup of Tide (or other common detergents which contain less than 0.5% phosphate, dissolved into five gallons of warm water, or (b) One cup of household ammonia dissolved into five gallons of water (room temperature). NEVER BLEND CLEANSERS OR DETERGENTS WITH BLEACH. The garage door may be washed with either solution and the use of a well-soaked cloth, sponge, brush (with very soft bristles) or low pressure spray washer are recommended. Once the door is washed, thoroughly rinse with clean water to eliminate the possibility of residue. To prepare the door for painting, lightly sand or buff surface imperfections such as minor scratches, which have not left the metal substrate exposed in order to create a smoother surface. Care must be taken, however, not to expose the substrate. Rusting is greatly increased when the metal substrate is exposed. Exposed metal must be treated to prevent rust from forming. To do so, sand the general area lightly and use a primer* specifically designed to protect any exposed galvanized steel from corrosion. After the door has been properly prepared, it must be coated within 24 hours with a high-quality latex exterior house paint, taking care to allow the surface to completely dry prior to painting. *Glidden Galvanized Metal Primer® 5229, PPG Galvanized Steel Primer® #6-209, or equivalent primers specifically designed for galvanized steel surfaces. A. Yes. We carry residential doors in widths beginning at 6' wide and continuing to 20'*. We can make any width between 6' and 20' in two inch increments. In addition, virtually any height between 6'6" and 12' is available in three inch increments. The only height that is unavailable is 7'3". A. Standard headroom applications require 12" to 18" of space between the bottom of the opening header and the unobstructed ceiling. However, our specializes in custom-built applications. A variety of special track options are available and make it possible for many unusual garages to be fitted with doors. By using low-headroom track, it is possible to install a door in an area that has as little as 61/2" of headroom. A. There are many parts of our country where security is a large concern. Because of this we carry secure windows for your garage doors. Windows are tempered, translucent windows that feature beautiful etched designs to compliment the style of your home. In addition, they offer more security than standard garage door windows because they feature baked-in translucent ink. This allows light into your garage, but masks the contents from potential intruders. For that reason, Insulated doors have a 5-step system that works together to maximize energy efficiency. Our double thermal break and tongue and groove construction are critical parts of that system and help to keep your garage as comfortable as possible. A torsion spring is a superior spring, primarily because it offers more safety to the homeowner and better balances the door to provide smoother operation. Single-car doors are equipped with extension springs as part of the standard hardware, but torsion springs are available by request. All double-car doors are equipped with torsion springs. A. Many homeowners feel that they have thrown their money away when their wooden garage doors rot or break-up because of moisture problems. 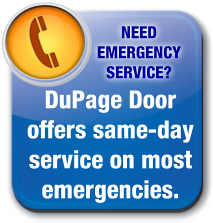 We guarantees its wood doors for one year, but a properly maintained wood door should provide a "reasonable" length of service to the homeowner. The following information on proper painting of wood doors comes from the American Hardboard Association. These guidelines were established by the hardboard manufacturers and do not replace our instructions or warranty. For further details on painting, you may refer to Step 22 in our Homeowners Instruction Manual and warranty in the Homeowners Information Packet that comes with every door we sell.